A car versus an 18-wheeler is no match. There are good and bad drivers, and unfortunately, some are driving 18-wheelers. During the summer, it is an even bigger problem as the roads are packed with cars going to and from that last minute vacation before school starts. And, there are 18-wheelers. With the Labor Day weekend quickly approaching, this is a good time to remind yourself of some things to help keep your family safe on the highways. Of course, 18-wheelers are a vital part of interstate commerce. Everything we buy in a store, including the gas you put in your car, probably was carried by an 18-wheeler at some point in its journey. But because of their size, and because of their speed, crashes involving big rigs are some of the most horrific things that can occur. You see people who have lost their lives, lost limbs, been badly burned or ended up in wheelchairs. 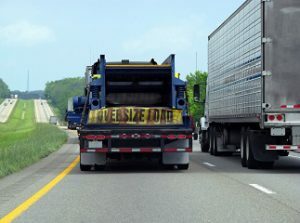 Because they are in a high-stakes industry and the consequences of a wreck involving an 18-wheeler are so serious, trucking companies will pull out all the stops in trying to escape liability for what one of their drivers has done. For instance, in Alabama, you have to prove not only that you were hit by an 18-wheeler, but that it was their fault, and entirely their fault. Alabama is a contributory negligence state, which means if a jury finds that someone who is injured did anything unreasonable to contribute to the cause of their own injury, even 1-percent, they are barred from recovery. Because it is sometimes a he said/she said situation, it can be very, very challenging to prove who was at fault in a crash. And who is responsible – the driver or the trucking company? Of course, the driver is responsible, but if an employee does something they are not supposed to within the line and scope of their employment, and an injury results, the employer is also responsible.